As the Obama administration and GOP congressional leaders resort to promising special favors in attempt to entice members of Congress to buck majority opinion and support Fast Track, a report released today by Public Citizen reveals that such promises to extract controversial trade votes consistently have been broken, exposing representatives to angry constituents and electoral losses. Facing bipartisan congressional opposition to Fast Track trade authority and polls showing majority U.S. public opposition, the Obama administration has moved beyond trying to sell Fast Track on its merits and is now offering rides on Air Force One, promises of infrastructure legislation and pledges to help representatives survive the political backlash of a “yes” vote on Fast Track. GOP congressional leaders are promising post-hoc policy fixes to trade laws and more. A comprehensive review of the past two decades of such trade vote deal-making shows that promises of policy changes, goodies for the district and political cover for unpopular trade votes rarely materialize, contributing to electoral upsets for representatives of both parties who trade their votes. Already the first promise of the 2015 Fast Track battle has been broken. U.S. Sen. Maria Cantwell (D-Wash.) and colleagues cast deciding Senate votes after obtaining commitments that Congress would have votes to reauthorize the Export-Import Bank before its June 30, 2015, sunset. Now GOP leaders have made clear this will not occur. Whether Ex-Im will ever be reauthorized is in doubt. U.S. Rep. Robert Aderholt (R-Ala.) and the Empty Sock: Aderholt still awaits changes to the Central America Free Trade Agreement (CAFTA) to protect his district’s now-devastated sock manufacturers. President George W. Bush promised this in 2005 to obtain Aderholt’s “yes” vote for CAFTA. U.S. Rep. Sam Farr (D-Calif.) Flower Deal Wilts: Farr voted for the North American Free Trade Agreement (NAFTA) after the Clinton administration promised to safeguard the California cut flower sector from import surges. After four years of ballooning flower imports from Mexico displaced California producers, Farr voted against giving President Clinton Fast Track in 1998. U.S. Rep. Alcee Hastings (D-Fla.) Tomato Wipeout: Hastings and other Florida representatives voted for NAFTA on the basis of the Clinton administration’s promises to protect Florida’s tomato growers from destabilizing surges in tomato imports from Mexico. But the Clinton administration did not honor its pledge when, within two years of NAFTA, tomato imports multiplied, Florida’s tomato revenues dropped more than 40 percent, and the number of Florida tomato growers fell 60 percent. Former U.S. Rep. Robin Hayes (R-N.C.) provided the final votes to pass Fast Track in 2002 and CAFTA in 2005, after telling his constituents he would oppose both. He flip-flopped on the basis of promises that failed to prevent thousands of trade-related job losses in his district, many of them at textile factories. In the 2008 election, a former textile worker, Larry Kissel, decisively beat Hayes after hammering him for his trade vote swaps. Former U.S. Rep. Matthew Martinez (D-Calif.) stated support for Fast Track in 1997 as an apparent quid-pro-quo for President Clinton’s promise to approve a highway extension project in his district. Martinez never got the highway, but he did lose his job. In 2000, Martinez, an 18-year incumbent, lost 29 to 62 percent to a primary challenge by Hilda Solis, who ran against his support for Fast Track. Today’s report includes an annex of 92 promises made for trade vote support. Only 17 percent of these promises were kept, even though many were memorialized in the text of trade agreements’ implementing legislation. The overall finding of the report is that if appropriated funds are not locked in an account and if the policy change or amendment to a trade pact is not made before the trade vote, funding and follow-through is not likely to be forthcoming after the vote. Promises to seek future renegotiations of trade agreement provisions or to take action in future negotiations were broken most of the time. Of the past 64 policy promises designed to put a gloss on a contested agreement and give political cover to members of Congress, just seven were kept and 57 broken. Public Citizen also documented 28 pork barrel deals made in exchange for “yes” votes on trade agreements, of which nine were kept and 19 broken. The GOP takeover of the U.S. Senate probably reduces the chances that President Barack Obama gets Fast Track at all before his presidency is over or that a deal is completed on the Trans-Pacific Partnership (TPP). There has been a major corporate PR campaign to push the opposite narrative. However, a close look at the interplay of the actual politics and policy on Fast Track and the TPP show that the GOP election sweep may, counterintuitively, actually not promote the corporate trade agenda. The reason that the GOP controlling the Senate could make Fast Track’s passage less likely is related to who will now be writing a trade authority bill. The old Fast Track trade authority mechanism faces a significant bloc of GOP House opposition and virtually no House Democratic support. Outgoing Senate Finance Committee Chairman Ron Wyden (D-Ore.) had undertaken an inclusive process to get input to write his own version of trade authority, which he dubbed Smart Track. That process and its outcome could have broken the bipartisan House opposition to the old Fast Track system. But neither incoming Finance Committee Chair Orrin Hatch (R-Utah) nor the likely GOP Ways and Means Committee leader supports major changes to the old Fast Track authority delegation process. Indeed, the Camp-Baucus-Hatch bill to establish trade authority was finally introduced in January 2014 only because GOP Finance and Ways and Means leaders opposed even modest changes to the actual authority delegation process from the 2002 bill. Changes to the actual terms delegating congressional authorities are also opposed by the business lobby. Nor do Hatch or the Ways and Means GOP leaders have the inclination or the relationships to widen the base of support for a bill. But altering the way in which Congress’ authority is delegated, to provide Congress with a more fulsome role throughout the process and with more accountability over negotiators, is necessary to build bipartisan House support for a new delegation of trade authority. Updates to negotiating objectives or the level of transparency required cannot overcome the issues at the core of the House allergy to Fast Track. A significant bloc of House GOP does not want to delegate more power to Obama, especially as the GOP has been attacking him as the “imperial president” who grabs legislative authority for his own. Tea party activists oppose Fast Track per se and anything that empowers Obama, which leaves GOP lawmakers who support Fast Track exposed to the dreaded tea party primary threat. To make political matter worse, House GOP lawmakers know that even if the GOP votes were available to pass Fast Track on a party line vote, almost no Democrats will vote to give their own president such authority, so any fallout from future trade pacts would be owned solely by the GOP. There were literally only a handful of House Democrats who supported the bill: eight out of 201 members. And three of those eight conditioned their “yes” votes on the bill also extending Trade Adjustment Assistance (TAA), which Hatch viscerally opposes. The House GOP leadership could not count more than 100 members as “yes” votes on the Camp-Baucus-Hatch bill. They had a bloc of members with solid “no” votes – some of whom signed letters against Fast Track in 2013 – and a large bloc who could not commit to vote “yes.” That is why the House GOP leadership never marked up the Camp-Baucus-Hatch bill or moved it toward a floor vote. And that is why House Speaker John Boehner (R-Ohio) said in May he needed to see 50 firm Democrat votes before he would move the bill. Reid’s announcement in January certainly made it more certain that the Camp-Baucus-Hatch Fast Track bill would not be moving. But even without Reid’s opposition, Boehner could never find the 50 Democrats he needed to make up for the GOP members he could not count as “yes” votes on the Camp-Baucus-Hatch bill. One more way in which GOP control of the Senate complicates the path for trade authority: Hatch also hates TAA while Wyden supported expanding it. Adding TAA to the old Fast Track process does not add new Democratic support, but not having TAA could result in literally no House Democratic support. For instance, the House’s leading Democratic Fast Track boosters, U.S. Reps. Ron Kind (D-Wis.) and Gregory Meeks (D-N.Y.) – among the eight House Democrats who supported the Camp-Baucus-Hatch Fast Track bill – said absent a TAA extension, they would not support it. Thus, not having Wyden as Senate Finance Committee chairman actually decreases the chances that Obama will ever get a delegation of trade authority. But that would not be such a shocker anyway. Since Congress woke up to what Fast Track really means with the Fast-Tracked passage of the North American Free Trade Agreement (NAFTA) and the World Trade Organization (WTO) almost 20 years ago, Congress has allowed Fast Track to be in effect for only five of the 20 years. TPP: The election results may also complicate Obama’s goal of signing a Trans-Pacific Partnership (TPP) deal. As the TPP misses yet another do-or-die deadline – this time a November date announced by Obama in June that was related to the imminent Asia-Pacific Economic Partnership (APEC) meeting – to get a deal, any deal, the administration might be ready to step back from its position regarding Japan and agriculture market access in the TPP. Except, the demand that the TPP include the zeroing of all agricultural tariff comes mainly from the Republicans, as does the call to throw Japan out of the TPP talks unless Japan concedes to this demand. Both Parties Competed to Highlight Rejection of Unfair Trade in Competitive Races, Heightening Public Awareness and Further Complicating Obama’s Bid for Fast Track: Analysis of the most-watched races of the 2014 elections reveals bipartisan competition to align campaign positions with the American public’s opposition to current U.S. trade policies and the job offshoring they cause. A raft of ads spotlighting the damage caused by status quo trade policies has heightened constituents’ anger about damaging trade deals and the expectation that their newly elected representatives will reject the administration’s attempt to Fast Track more of the same deals. Some of 2014’s most high-profile races featured both candidates competing to portray themselves as the greater opponent of unfair trade. Republican challengers sought to outdo the fair-trade voting records of Democratic incumbents by proclaiming their own rejection of existing Free Trade Agreements (FTAs), while the incumbents touted their votes against the FTAs and their opposition to Fast Track. Incumbents who could not themselves claim a fair trade record still campaigned with the trade frame by attacking their opponents on offshoring, voicing opposition to tax policies that incentivize offshoring or citing instances of being “tough on China.” Even Senate Minority Leader Mitch McConnell (R-Ky.), with a 100 percent record of supporting unfair trade deals, was obliged to create and air an ad claiming he “fought against unfair foreign trade” after multiple ads attacked him for supporting damaging trade deals and costing American jobs. Minnesota’s 8th Congressional District – Nolan vs. Mills: In the closely fought race for Minnesota’s eighth district seat – one of the most competitive races in this election cycle – incumbent U.S. Rep. Rick Nolan (D-Minn.) turned around a likely GOP pick-up after vying with Republican Stewart Mills to declare greater opposition to status quo trade. This race spotlights the difficulty Obama’s quest for Fast Track authority will face in the next Congress, as conservative GOP members campaigned against the trade status quo and thus will be expected by their voters to stop more-of-the-same trade policies. In one ad, Mills tried to convert popular rejection of existing FTAs into rejection of incumbents, blaming “politicians like Rick” for “trade deals that reward outsourcers, while killing Minnesota jobs.” Nolan, who was not in office during the votes for any existing FTAs, touted his own opposition to unfair deals. Nolan’s campaign website stated that he “has fought against ‘fast-tracking’ the ongoing TPP trade negotiations, and will continue to stand up for fair trade.” Nolan was one of 151 House Democrats to sign a letter last year against Fast Tracking the TPP. Voters opted for Nolan, who trumped Mills. U.S. Senate in Michigan – Peters vs. Land: In the competitive Michigan U.S. Senate race between U.S. Rep. Gary Peters (D-Mich.) and Terri Lynn Land (R), both candidates competed to make known their opposition to unpopular trade deals. Competing against Peters’ 100 percent record of opposition to FTAs, Land sought to flaunt her own anti-FTA position, stating in an ad, “My plan will save Michigan jobs by ending unfair foreign trade deals and developing new agreements that open up markets for Michigan exports.” Michigan has lost more than 250,000 manufacturing jobs (about one out of every three) since NAFTA was enacted. Peters’ campaign website touted his own fair trade record, stating, “He has stood up for Michigan manufacturers and opposed any new trade deal that does not require our foreign trading partners play by the same rules as American companies.” In the end, Peters beat Land handily although the race had long been deemed a tossup. U.S. Senate in Kentucky – McConnell vs. Grimes: Trade loomed large in this headline-grabbing race between McConnell and his Democratic challenger Alison Lundergan Grimes. The Senate Majority PAC launched an ad that showed video footage of McConnell expressing support for NAFTA, and stated, “Mitch McConnell’s been tragically wrong about foreign trade deals. They’ve cost America over half a million jobs.” Another Senate Majority PAC ad criticized McConnell for “pushing foreign trade deals that send Kentucky jobs to new homes far away.” As his numbers plummeted in the early fall, McConnell’s campaign ultimately was forced to respond by adopting the same frame used against him, claiming in an ad that McConnell “fought against unfair foreign trade,” despite having cast 20 out of 20 votes in favor of unfair trade since 1991. McConnell beat Grimes after running against his own voting record. The 20-year record of job loss and trade deficits from the North American Free Trade Agreement (NAFTA) is haunting President Barack Obama’s efforts to obtain special trade authority to fast track the Trans-Pacific Partnership (TPP), said Public Citizen as it released a new report that comprehensively documents NAFTA’s outcomes. Next week’s presidential trip to Mexico for a long-scheduled “Three Amigos” U.S.-Mexico-Canada summit will raise public attention to NAFTA, on which the TPP is modeled, which is not good news for Obama’s push for the TPP and Fast Track. Numerous polls show that opposition to NAFTA is among few issues that unite Americans across partisan and regional divides. Public ire about NAFTA’s legacy of job loss and policymakers’ concerns about two decades of huge NAFTA trade deficits have plagued the administration’s efforts to obtain Fast Track trade authority for the TPP. The TPP would expand the NAFTA model to more nations, including ultra-low-wage Vietnam. In the U.S. House of Representatives, most Democrats and a bloc of GOP have indicated opposition to Fast Track, as has Senate Majority Leader Harry Reid (D-Nev.). Public Citizen’s new report, "NAFTA’s 20-Year Legacy and the Fate of the Trans-Pacific Partnership", compiles government data on NAFTA outcomes to detail the empirical record underlying the public and policymaker sentiment. It also shows that warnings issued by NAFTA boosters that a failure to pass NAFTA would result in foreign policy crises – rising Mexican migration and a neighboring nation devolving into a troubled narco-state – actually came to fruition in part because of NAFTA provisions that destroyed millions of rural Mexican livelihoods. The Public Citizen report shows that not only did projections and promises made by NAFTA proponents not materialize, but many results are exactly the opposite. Such outcomes include a staggering $177 billion U.S. trade deficit with NAFTA partners Mexico and Canada, one million net U.S. jobs lost in NAFTA’s first decade alone, slower U.S. manufacturing and services export growth to Mexico and Canada, a doubling of immigration from Mexico, larger agricultural trade deficits with Mexico and Canada, and more than $360 million paid to corporations after “investor-state” tribunal attacks on, and rollbacks of, domestic public interest policies. “The data have disproved the promises of more jobs and better wages, so bizarrely now NAFTA defenders argue the pact was a success because it expanded the volume of U.S. trade with the two countries without mentioning that this resulted in a 556 percent increase in our trade deficit with those countries, with a flood of new NAFTA imports wiping out hundreds of thousands of American jobs,” said Wallach. The study tracks specific promises made by U.S. corporations like Chrysler, GE and Caterpillar to create specific numbers of American jobs if NAFTA was approved, and reveals government data showing that instead, they fired U.S. workers and moved operations to Mexico. The report also documents how post-NAFTA trade and investment trends have contributed to middle-class pay cuts, which in turn contributed to growing income inequality; how since NAFTA, U.S. trade deficit growth with Mexico and Canada has been 50 percent higher than with countries not party to a U.S. Free Trade Agreement, and how U.S. manufacturing and services exports to Canada and Mexico have grown at less than half the pre-NAFTA rate. American manufacturing jobs were lost as U.S. firms used NAFTA’s foreign investor privileges to relocate production to Mexico, and as a new flood of NAFTA imports swamped gains in exports, creating a massive new trade deficit that equated to an estimated net loss of one million U.S. jobs by 2004. A small pre-NAFTA U.S. trade surplus of $2.5 billion with Mexico turned into a huge new deficit, and a pre-NAFTA $29.6 billion deficit with Canada exploded. The 2013 NAFTA deficit was $177 billion, representing a more than six-fold increase in the NAFTA deficit. More than 845,000 specific U.S. workers, most in the manufacturing sector, have been certified for Trade Adjustment Assistance (TAA) since NAFTA because they lost their jobs due to offshoring to, or imports from, Canada and Mexico.The TAA program is narrow, covering only a subset of jobs lost at manufacturing facilities, and is difficult to qualify for. Thus, the TAA numbers significantly undercount NAFTA job loss. A TAA database searchable by congressional district, sector and more is available here. NAFTA has contributed to downward pressure on U.S. wages and growing income inequality.There is broad consensus among economists that recent trade flows have been a significant contributor to growing income inequality; the only debate is about the degree of trade’s responsibility. NAFTA’s broadest economic impact has been to fundamentally transform the types of jobs and wages available for the 63 percent of American workers without a college degree. Most of those who lost manufacturing jobs to NAFTA offshoring and import competition found reemployment in lower-wage service sector jobs. According to the U.S. Bureau of Labor Statistics, two out of every three displaced manufacturing workers who were rehired in 2012 experienced a wage reduction, most of them taking a pay cut of greater than 20 percent. As increasing numbers of workers displaced from manufacturing jobs have joined those competing for non-offshorable, low-skill jobs in sectors such as hospitality and food service, real wages have also fallen in these sectors under NAFTA. The resulting downward pressure on middle-class wages has fueled recent growth in income inequality. Scores of environmental and health laws have been challenged in foreign tribunals through NAFTA’s controversial investor-state dispute resolution system. More than $360 million in compensation to investors has been extracted from NAFTA governments via “investor-state” tribunal challenges against toxics bans, land-use rules, water and forestry policies, and more. More than $12.4 billion is pending in such NAFTA claims, including challenges of medicine patent policies, a fracking moratorium and a renewable energy program. The average annual U.S. agricultural trade deficit with Mexico and Canada in NAFTA’s first two decades reached $975 million, almost three times the pre-NAFTA level. U.S. beef imports from Mexico and Canada, for example, have risen 133 percent. Over the past decade, total U.S. food exports to Mexico and Canada have actually fallen slightly while U.S. food imports from Mexico and Canada have more than doubled. This stands in stark contrast to projections that NAFTA would allow U.S. farmers to export their way to newfound wealth and farm income stability. Despite a 239 percent rise in food imports from Canada and Mexico under NAFTA, the average nominal U.S. price of food in the United States has jumped 67 percent since NAFTA. The reductions in consumer goods prices that have materialized have not been sufficient to offset the losses to wages under NAFTA; U.S. workers without college degrees (63 percent of the workforce) likely have lost a net amount equal to 12.2 percent of their wages even after accounting for gains from cheaper goods.This net loss means a loss of more than $3,300 per year for a worker earning the median annual wage of $27,500. The export of subsidized U.S. corn did increase under NAFTA’s first decade, destroying the livelihoods of more than one million Mexican campesino farmers and about 1.4 million additional Mexican workers whose livelihoods depended on agriculture. The desperate migration of those displaced from Mexico’s rural economy pushed down wages in Mexico’s border maquiladora factory zone and contributed to a doubling of Mexican immigration to the United States following NAFTA’s implementation. Facing displacement, rising prices and stagnant wages, more than half the Mexican population, and more than 60 percent of the rural population, still falls below the poverty line, despite the promises that NAFTA would bring broad prosperity to Mexicans. Real wages in Mexico have fallen significantly below pre-NAFTA levels as price increases for basic consumer goods have exceeded wage increases. A minimum wage earner in Mexico today can buy 38 percent fewer consumer goods than on the day that NAFTA took effect. Despite promises that NAFTA would benefit Mexican consumers by granting access to cheaper imported products, the cost of basic consumer goods in Mexico has risen to seven times the pre-NAFTA level, while the minimum wage stands at only four times the pre-NAFTA level. Though the price paid to Mexican farmers for corn plummeted after NAFTA, the deregulated retail price of tortillas – Mexico’s staple food – shot up 279 percent in the pact’s first 10 years. “Given NAFTA’s damaging outcomes, few of the corporations or think tanks that sold it as a boon for all of us in the 1990s like to talk about it, but the reality is that their promises failed, the opposite occurred and millions of people were severely harmed and now this legacy is derailing President Obama’s misguided push to expand NAFTA through the TPP,” said Wallach. WASHINGTON, D.C. – An analysis of the 2012 election reveals a bipartisan race to align campaign positions with the American public’s opposition to current U.S. trade policies and the job offshoring they cause. Over the course of the past three months, a wave of ads focused mainly on job offshoring and secondarily on trade with China, has spotlighted the damage caused by current U.S. trade policies, fueling transpartisan expectations for reform and further complicating the path for the massive Trans-Pacific Partnership (TPP) “free trade” pact that is slated for completion in 2013, Public Citizen said today. The presidential race featured more than three times as many trade-themed ads as in 2008, creating a trade-reform-is-urgently-needed narrative that reinforces the majority position of the U.S. public. Following this trend, congressional candidates across 30 states deployed more than 125 ads criticizing the economic fallout of status quo trade policy. Candidates who voted against Free Trade Agreements (FTAs) touted their fair-trade record. Many candidates, including incumbents who could not claim such a record, touted votes in favor of closing tax loopholes that incentivize offshoring, attacked their opponent on offshoring, or pledged to be “tough on China.” The magnitude of trade-themed ads to which the American public was exposed in this election cycle was reinforced by an unprecedented prominence of trade themes in the presidential debates and stump speeches. “Given Americans’ unhappiness with our trade status quo, the reason candidates nationwide continually spotlighted job offshoring and other damage caused by unfair trade was to win. But the result is that Americans have been saturated with trade-related messaging that reinforces their anger about getting screwed by unfair trade, which creates heightened expectations that the people they just elected will do something to fix these problems and certainly not support more of the same,” said Lori Wallach, director of Public Citizen’s Global Trade Watch. Public Citizen analyzed the voting record of incumbents and the detailed public positions of new candidates and found that the election increased the net number of fair-trade members of the Senate by at least six, including with the addition of some long-time fair-trade champions. In the House of Representatives, too many candidates’ positions remain unknown to assess the overall fair trade balance. In focusing on the damaging outcomes of our current trade policy, both presidential candidates and numerous congressional incumbents in tight races campaigned against their own records and positions of support for FTAs based on the model of the North American Free Trade Agreement (NAFTA), which includes investment provisions that incentivize American job offshoring and procurement rules that ban Buy American preferences and thus send U.S. tax dollars offshore. • President Barack Obama and former Gov. Mitt Romney deployed an unprecedented 33 trade-related ads this election cycle. 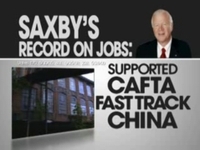 In 2008, Obama used nine trade-themed ads, while GOP challenger John McCain ran just one such ad. This time, Obama’s trade ads more than doubled to 21, while Romney’s 12 trade-themed ads surpassed the number Obama ran in 2008. • Fifty-seven percent of candidates in competitive or open House or Senate races also addressed trade policy through paid general election ads or positions taken on campaign websites, including 72 percent of Democratic candidates and 41 percent of GOP candidates. • Among all paid ads used by the 294 campaigns, support for trade deals was limited to one ad in which the GOP candidate for Hawaii’s open Senate seat, former Gov. Linda Lingle, attacked Senator-elect Maize Hirono for opposing all three FTAs in 2011 when she was a House member. Despite expectations for a close race, Hirono beat Lingle by 26 percentage points. • As further evidence of how politically untenable support for the trade status quo has become, very few congressional candidates included content on their websites supportive of any NAFTA-style pact, regardless of their voting record for such deals. Only 22 of 294 candidates in competitive or open seat races made favorable mention of trade pacts on their websites. • Campaigning against status quo trade policy even penetrated traditionally “free trade” states such as Arizona, Colorado, Montana, Nevada, New Mexico, North Dakota Texas, and Utah, Trade-focused campaigns have long been a fixture of congressional races in the Rust Belt, Southeast and other areas hit with particularly heavy job losses from NAFTA-style deals. But the 2012 campaign featured trade-related ads across 30 states, spanning the country from Maine to Hawaii. In Colorado, candidates such as Ed Perlmutter (D), Joe Miklosi (D) and Sal Pace (D) blanketed TV channels with criticism of opponents’ offshoring records while backing job-creating Buy America provisions, which would be barred under the TPP deal being negotiated. • For House members in competitive races, their fair-trade voting records and focus on opponents’ support for damaging trade pacts was often critical to winning. -- Rep. Brad Sherman (D-Calif.), who has a 100 percent fair-trade voting record and is a fair-trade leader in the House, won an intense battle between two senior incumbents, beating House Foreign Relations Committee ranking member Howard Berman (D-Calif.), who had supported most trade pacts from NAFTA on. Sherman’s fair-trade record was one of the only differences between the candidates’ voting records, giving Sherman the labor and grassroots support to overcome a withering array of Berman endorsements, from the Los Angeles Times to scores of Democratic and GOP policymakers. -- In the closely fought race for Iowa’s second district seat, trade played a large role. Both Rep. Dave Loebsack (D) and John Archer (R) employed the trade theme in paid ads. Archer, a John Deere executive, attacked Loebsack’s votes against the three FTAs in 2011 in a news release while at the same time running an ad generally criticizing the offshoring trend. Loebsack directly criticized his challenger for supporting the NAFTA-style trade deals: “He’s a corporate executive who supports more unfair trade with Korea, Panama and Columbia.” Trade issues also took center stage in the debates in this race, with Loebsack using the issue to distinguish himself from his opponent: “It’s about the NAFTA-style free trade agreements that John supports that I don’t support.” Loebsack, who has a 100 percent pro-fair-trade record, beat Archer handily. -- In a neck-and-neck rematch of a 2010 race in upstate New York, fair-trader Dan Maffei (D) targeted Rep. Ann Marie Buerkle (R) for her votes last year for the NAFTA-style deals with Korea, Colombia and Panama to successfully reverse her upset of his incumbency in 2010. In one of Maffei’s paid ads, the flags of the three FTA countries surround the text “Congresswoman Buerkle: Unfair Trade,” as an announcer states, “Congresswoman Ann Marie Buerkle voted for tax breaks for outsourcing American jobs [and for] unfair trade agreements.” When previously in Congress, Maffei was a co-sponsor of major trade reform legislation called the TRADE Act of 2009. • Throughout the campaign, both Obama and Romney largely omitted references to unpopular trade agreements that they both support, instead harnessing public ire about the damage caused by such pacts and then pivoting to attack the other as being soft on China or responsible for job offshoring. Despite the unprecedented number of trade-themed ads, neither candidate’s ads even mentioned the FTAs approved last year with Korea, Colombia and Panama, nor the sweeping TPP deal, despite both candidates’ stated support of the pacts. Obama’s silence regarding the FTAs in paid ads is particularly notable given that their passage was perhaps Obama’s most significant legislative achievement in the 112th Congress and occurred with mainly GOP support and thus could have been used to counter Romney’s core argument that Obama could not work with Congress to make progress. Ninety percent of Obama’s trade-related ads painted Romney as friendly to offshoring and Obama as tough on offshoring. Romney, meanwhile, used 75 percent of his trade-related ads to attack Obama for his China trade policy, while committing Romney to “crack down” on China. • Offshoring was by far the most prominent trade-related theme in the 2012 election for both GOP and Democratic candidates. Paid ads condemning offshoring constituted 72 percent of trade-related ads in open and competitive congressional races and 64 percent in the presidential race. Offshoring criticism also dominated campaign websites, including 48 percent of the trade mentions on congressional websites in open and competitive races, and 54 percent on the presidential campaign sites. However, for the incumbents whose trade messaging defied their own voting records, trade agreements were conveniently omitted as a cause of offshoring. Democrats in this category tended to blame offshoring on tax loopholes that incentivize companies to send jobs abroad, while Republicans tended to blame misdirected stimulus spending, excessive regulation or onerous taxation. Eighteen Democrats and Republicans used these pivot claims to campaign against the offshoring of jobs in 2012 despite voting just last year in favor of the Korea FTA, under which thousands of U.S. jobs have already disappeared. Since the FTA went into effect this year, U.S. exports to Korea have fallen by $1.2 billion while imports from Korea have risen, yielding a 34 percent increase in the job-killing U.S.-Korea trade deficit. • A secondary theme that emerged was a commitment to “get tough on China” with subthemes of currency manipulation or non-compliance with patent protections. While numerous Republicans and Democrats sought to paint their opponents as soft on China, there was little mention of the TPP, which is envisioned as a docking agreement that China could eventually join. Indeed, U.S. Trade Representative Ron Kirk has stated that he “would love nothing more” than to see China join this NAFTA-style deal with the United States, which would likely intensify the trend of jobs lost to China. The exception to the quietude on TPP was newly elected U.S. senator from Maine, Angus King (I), who repeatedly criticized the deal at campaign events. • More than 40 percent of House and Senate incumbents in tight races who indicted the trade status quo in paid ads or campaign websites have voted for the current trade model more often than they voted against it. A half dozen Republican incumbents ran ads attacking current trade policy despite a 100 percent track record of support for every single NAFTA-style trade deal arising under their tenure. These include Allen West (R-Fla.), David Rivera (R-Fla.), Bobby Schilling (R-Ill.), Dan Benishek (R-Mich.), Reid Ribble (R-Wis.) and Scott Brown (R-Mass. ), the incumbent who lost the headline-grabbing battle for Massachusetts’ Senate seat. Rep. Cedric Richmond (D-La.) stands out among Democratic candidates who used the trade theme despite a voting record for unfair trade. Last year, Richmond voted for the NAFTA-style deals with Korea and Panama that both include special protection to facilitate U.S. corporations’ job offshoring. As well, an increase in the U.S. trade deficit with Korea since that pact went into effect already had cost U.S. jobs. Incredibly, Richmond chose to attack his challenger in a paid ad for supporting offshoring-prone trade deals. Even more ironically, Richmond cited his own accountability: “I’ve taken responsibility for my actions because public officials must be accountable. And we should hold Congressman Cao accountable for his record: supporting trade deals with China that send our jobs overseas.” While the United States actually has no trade deal with China, it does now have job-eroding deals with Korea and Panama, thanks to Richmond’s support. To obtain these findings, Public Citizen monitored campaign ads and websites in the presidential race and in all congressional races with open seats, new seats or seats designated as competitive by the Cook Political Report. The 144 tracked congressional races include 249 campaigns for the House of Representatives and 45 campaigns for the Senate. For each race, Public Citizen researchers scanned general election paid ads posted through Nov. 5 on the campaigns’ websites or official YouTube channels. In addition, researchers used software designed to scrape official campaign websites for references to a list of trade-related terms. Researchers then manually studied the results of the software scan to verify relevance before tabulating trade-related statements. The full array of trade-themed 2012 general election campaign ads may be viewed here. SAN DIEGO – Growing congressional, state legislator and activist protests of closed-door negotiations on the Obama administration’s first trade pact, the Trans-Pacific Partnership (TPP), threatened to undermine the Obama campaign’s attack on Mitt Romney’s Bain Capital U.S. job offshoring activities. The latest round of TPP talks wrapped up today in San Diego following a week of protests outside the venue, growing concern about TPP in Congress, a letter warning of opposition from state legislators representing all 50 states and delivery of two different petitions with nearly 100,000 signatories each. A text of the TPP’s investment chapter that leaked last month shows that it includes an expanded version of the rules in the North American Free Trade Agreement (NAFTA) that incentivize investment and job offshoring by eliminating the risks of relocating to lower-wage countries and guaranteeing preferential treatment for relocated firms. “U.S. negotiators have tried to keep TPP negotiations totally below the radar, but even so opposition to the current “NAFTA-on-steroids-with-Asia” approach is escalating, which is good news for the public but a serious complication for the Obama campaign’s attack on Romney as a U.S. job offshorer,” said Lori Wallach, director of Public Citizen’s Global Trade Watch. During last week’s secretive TPP talks in San Diego, state legislative leaders from all 50 states sent a letter to President Barack Obama’s senior trade official, warning that they will oppose the deal unless the administration alters its current approach. “The lack of transparency of the treaty negotiation process, and the failure of negotiators to meaningfully consult with states on the far-reaching impact of trade agreements on state and local laws, even when binding on our states, is of grave concern to us,” the legislators wrote in their July 5 letter. On June 27, an overwhelming majority of House Democrats (133 members), led by U.S. Reps. Rosa DeLauro (D-Conn.) and George Miller (D-Calif.), sent a letter to the administration criticizing the secretive TPP negotiating process, demanding public release of the TPP text and raising alarm about TPP proposals that replicate past pacts and could increase drug prices, undermine Buy American policy and expose U.S. laws to attack in foreign tribunals. The letter, sponsored by two members of the House Democratic leadership, was signed by almost every Democratic full committee ranking member and Appropriations Committee ranking member, as well as many Ways and Means Committee members and a dozen lawmakers who supported last fall’s free trade agreements with South Korea, Colombia and Panama. “President Obama is facing a growing chorus of opposition to what his trade negotiators are up to on the TPP from his base and from other Democratic elected officials, and given that his campaign seems to be honing in on job offshoring as a winning theme, he needs to redirect his negotiators from their current TPP agenda of NAFTA-on-steroids with all of Asia,” said Wallach. With the budget and other scandals dominating political discourse, little space has remained for discussion of trade policy among possible presidential candidates. Although foreign policy hasn’t always been her strong suit, Rep. Michele Bachmann (R-Minn.) is pretty confident about her views on trade. Bachmann interrupted her presidential campaign and broke a streak of 88 absences to cast a vote in favor of the free trade deals with Korea, Colombia and Panama. In a press release she writes that these deals will “spur economic growth… without cost to taxpayers.” Notably, the representative voted against Trade Adjustment Assistance, which would provide support for workers displaced by the deals. Bachmann also voted against Fast Track cancellation in 2008 and in favor of the Peru trade deal in 2007. In a blog post urging lawmakers to pass the Korea, Colombia and Panama trade deals, Bachmann writes that the “role of free trade as an expression of liberty….signifies the very principles our country was founded upon.” Unfortunately, these trade deals were negotiated under Fast Track, leaving Congress no authority to amend the agreements. (The constitution, or the document our country was actually founded upon, outlines a system of checks and balances granting Congress the power to “regulate commerce with foreign nations”). A self-proclaimed proponent of free trade in its most pure form, Rep. Ron Paul (R-Tex.) opposes NAFTA-style trade deals because they erode U.S. sovereignty and are unconstitutional. He has voted against almost every trade deal that has surfaced during his tenure in office, including Peru, Oman, Bahrain, CAFTA, Australia, Singapore and Chile. Paul has also been an advocate of withdrawing from the World Trade Organization. Instead of probing such matters, most mainstream press reports over the entire four-plus year debate simply parroted corporate and Obama-administration talking points. The missed political storyline, too, was equally astounding. Two-thirds of Democratic House members opposed Obama on the Korea pact and 82 percent who opposed him on the Colombia pact. It's his biggest split with House Democrats thus far. The number who voted against the deal is even greater than the percentage of House Dems who opposed the Patriot Act (63 percent) or the war-funding bills (56 percent). And of course, Obama got nothing in return for the capitulation: Republicans advanced the trade pacts while blocking his second stimulus package. So much for negotiation. It took Bill Clinton nearly eight years of NAFTA job losses, sellouts, and scandals to have about two-thirds of the House Democrats vote against China’s entry into the World Trade Organization in 2000. Obama managed to meet and beat that record with his first trade votes. The percentage of Democratic House votes against these deals even surpassed Democrats’ average level of opposition to Republican presidents’ trade initiatives. It is bizarre that President Barack Obama has switched from his long-awaited focus on jobs to spending effort passing three George W. Bush-signed, NAFTA-style trade deals that official government studies show will increase our trade deficit even as polls show most Americans oppose NAFTA-style trade pacts and recognize that they kill American jobs. The only way these deals will pass is if congressional GOP lawmakers expose themselves to the foreseeable election attack ads and provide President Obama almost all of the votes; most congressional Democrats will oppose these deals, which are loved by the U.S. Chamber of Commerce and despised by the Democratic base groups. Apparently, the Obama team has a way to win re-election that does not involve Ohio or other industrial swing states. We saw with NAFTA in 1993 the dire political consequences of a Democratic president blurring distinctions between the parties on this third-rail issue of trade and jobs. And unlike NAFTA, this time, even official government studies show that these pacts will increase our trade deficit. Lori Wallach on HuffPo: "Obama Flip-Flopped Off Trade Cliff"
Check out Lori Wallach's latest piece on the Huffington Post. "Apparently, Obama has a plan for winning re-election that does not involve Ohio... oh, and he is tired of talking about job CREATION..."
﻿﻿﻿﻿﻿﻿Read the entire piece at the Huffington Post. Lori Wallach on HuffPo: "Trade Pacts Obama's Flacking in Jobs Plan Would Increase Trade Deficit Say Government Studies"
Everyone expects Obama's imminent jobs plan and related speeches to include a pitch to pass Bush's leftover Free Trade Agreements (FTA) with Korea, Colombia and Panama. ... Problem is, whatever one thinks about the idea of "free trade," the federal government's own studies predict that these three deals would increase the U.S. trade deficit. Higher deficits mean more jobs will be displaced by imports than are created by exports. This was a critical factoid largely missed by reporters covering Obama's speeches after the debt ceiling deal -- with many stories simply repeating Obama's claim that these FTAs were vote-ready job-creators for Congress to take up ASAP." Read the entire piece at the Huffington Post to find out what you need to know about the trade aspects of Obama's jobs plan. The announcement late Wednesday of a nebulous "agreement" in the Senate on a legislative "path forward" for the Korea, Colombia, and Panama trade deals (or FTAs), has renewed the trade chatter in the newswires. But we're still seeing a lot of questionable claims about the FTAs in these stories, so it's time for another edition of Trade-ifact. For the third installment , we've organized the stories by theme. Misquotes of the official U.S. International Trade Commission (USITC) studies of the three trade deals continue to pop up in news articles, either directly or through quotes of FTA proponents. Doug Palmer’s stories also round up the administration's export claims from $12 billion to $13 billion. News stories are also continuing to report that the trade deals will create or support 70,000 jobs. This has got to be one of the most popular outright errors in the history of trade debates. As we show here, it is derived from applying an incorrect methodology to an incorrect number (bilateral export projection). But even if one accepts the administration’s methodological choices, applying that method to the correct number (net exports) would reveal a decline in jobs. Doug Palmer's US Congress leaders agree path to pass trade deals (8/3/2011) misreported this number as fact. Fair trader wins in Peru... a third time. Ollanta Humala, the fair trade candidate in Peru's presidential election, appears to have won a majority of the votes in the second and final round of voting. He bested Keiko Fujimori, who campaigned against fair trade. We brought this story to your attention back in the first round of voting in April, and mentioned that there was a strong worry that there would be outside intevention. As Mark Weisbrot reported for the Guardian, there is a feeling on the ground that there were some U.S. interventions, although these may only be catalogued with time. Humala has a long history of staking out fair trade positions. It will be interesting to see how his position evolves going forward, especially in the Trans-Pacific FTA negotiations. Yesterday Democrat Kathy Hochul pulled off an upset win against Republican Jane Corwin in the special election for New York's 26th District, wresting control of a seat the GOP has occupied since the 1960's. Much attention has focused on the candidates' positions on Medicare as a deciding factor in the race, but trade policy also played a key role in the election. Jack Davis, independent candidate and president of a local manufacturing company, turned the spotlight on the devastating consequences of unfair trade policies for American manufacturing workers. His focus on offshoring garnered nine percent of the votes in the special election. Earlier in the race, Davis was polling at 23 percent, a testament to the power of trade as an election issue. Eager to be on the right side of the trade issue, Kathy Hochul released a strongly-worded statement condemning NAFTA and opposing the Korea, Panama, and Colombia FTAs. Oddly, Hochul and Corwin both ended up noting Davis’ absence from the debate not to needle him, but each other. Hochul started it, saying she wished Davis had participated because “he brings a lot to the debate,” and on his behalf demanded Corwin state her view of the North American Free Trade Agreement and unfair trade. That’s been Davis’ signature issue in all four of his congressional campaigns. That exchange sharply contrasted the difference between Hochul's commitment to oppose specific trade agreements and Corwin's broad statements on fair trade. A large number of the new GOP House freshmen campaigned on supporting fair trade. With Hochul's solid win over Corwin, they're on notice that they will have to put their money where their mouths are on the upcoming votes on the Korea, Panama, and Colombia FTAs or face voter anger in November 2012. Fair trader wins in Peru... again. Will US respect the outcome? Peruvian presidential candidate Ollanta Humala, long a critic of the NAFTA-style US-Peru trade agreement, has won nearly 32 percent of the vote in the first round of voting. This marks the second time Humala has come in first in the first round: in 2006, he won nearly 31 percent of the vote. Yesterday, Humala's partner on the ticket told reporters that Humala will determine whether past FTAs are compatible with the national interest. Humala's economic team has blasted the U.S. FTA for being between unequal trading partners. In contrast, former president Alejandro Toledo and vice president Pedro Pablo Kuczynski - who pushed and continue to push the FTA - finished far behind. Keiko Fujimori, the former president Alberto's daughter, came in second to Humala, and will face him in the run-off election. She has stated that she supports the U.S.-Peru FTA. As WOLA reports from on the ground in Peru, much is uncertain the weeks ahead. And although many voters remain suspicious of Humala, "he was the only candidate to offer an alternative to the existing economic model, in a country where a significant portion of the population has not benefited from years of steady economic growth." Now, it is incumbent on U.S. corporations, the Obama administration in the US and the Chavez administration in Venezuela to stay out of the second round of voting, which is set to occur on June 5. Peru is divided enough without all the outside interventions, and U.S. trade policy has been aggravating these divides rather than leading to healing. See here and here. After the jump, we have a chronology of the outside interventions in Peru's last presidential election. We detail how the Bush II administration pushed through the FTA after Peru's voters had supported two candidates that were pro-fair trade. One of the fair trade candidates, Alan Garcia, had an eleventh hour conversion to support for the FTA, after being courted by Peruvian and international elites. CALLER: Back in the ’90s I remember Ross Perot saying that there was going to be the giant sucking sound of jobs if NAFTA passed. I think it ended up being true, right? And I know you were a big free trader. GINGRICH: Yeah, well, I don’t think it was true in Mexico. I think the fact is that NAFTA allowed us to build jobs in Canada, the United States, and Mexico, in competition with China. I mean, our big competitor is not Mexico. Our big competitor is China and India. And I’d rather have jobs close to the United States than have jobs overseas in places like China and India. That’s why I was in favor of it. … So in a sense, I’d like our neighborhood to be fairly well off and fairly prosperous. I doubt too many fair trade Tea Party folk will rally behind a guy who shows so little concerns for "Making it in America." Moreover, as EOT readers know, it's false that NAFTA has somehow benefited Mexico at the expense of the United States: it has been lose-lose for working people in both nations. Today's revelation that the Pentagon is flying drones over Mexico to track down narcotraffickers is just the latest revelation that NAFTA prioritized the corporate bottomline at the expense of sustainable, non-drug related job creation. A new Pew poll released today found that antipathy towards “free trade” agreements and the WTO is particularly intense among Republicans and Tea Party supporters. This finding reinforces the results of previous polls that popular concern for the direction of our trade policy is spreading far beyond just Democrats. Republicans in the survey were more almost twice as likely to believe that “free trade agreements” (FTAs) like NAFTA and the policies of the WTO harm rather than help the United States (by a 54 to 28 percent margin). This opposition is more intense than that of the public overall, more of whom still believe the U.S. is hurt by such unfair trade deals (by a 44 to 35 percent margin). Republicans who agree with the Tea Party (think of those who had more enthusiasm to show up at the election booth last week) viewed FTAs even more unfavorably: 63 percent of them thought that FTAs and the WTO were bad for the United States, in contrast to only 24 percent who have a favorable view. More independents also believe that these trade deals have hurt rather than helped the U.S. If the Obama administration thought that it would be easy to pass a Korea FTA through a Republican Congress, these new poll numbers prove that it is mistaken. The Republican and Tea Party voters who elected the new Republican majority in the House are deeply opposed to more NAFTA-style FTAs, and the new members of Congress will find it dangerous to cast votes on FTAs against their constituencies. The poll also found that 55 percent of Americans think that FTAs have lead to job loss, while only 8 percent think that they have created jobs. This gap is even wider among Republicans and Independents. President Obama has said that his number one priority is job creation. If he is trying to convince Americans that he has his priorities straight, the last thing he should do is pass another NAFTA-style FTA, since most Americans believe that these FTAs are job killers. What Obama must do is follow through on his presidential campaign commitments and reform the Korea FTA, including deep changes to the labor rights, investor-state enforcement, and financial services regulation provisions of the FTA. If his administration thinks it can make some cosmetic changes and get it approved by Congress, it is in for a rude awakening. Anytime you force an ad-man to compress a difficult policy problem into a 30-second soundbyte, you're going to lose some complexity. For what it's worth, candidates of color (including a number of South Indian Americans and Asian Americans) in both parties have launched some of the strongest attacks on job offshoring this election cycle. This includes Rep. David Wu (D-Ore.) in Portland, who bears the distinction not only of being an Asian-American campaigning for fair trade, but also a Democrat showing that you can campaign and win on fair trade in the Pacific Northwest, where the (incorrect) conventional wisdom is that this message doesn't play. The trick for these candidates is to never let voters forget you are running to represent Sacramento, or Wichita - not Bangalore. Raj Goyle does this by campaigning very hard on fighting outsourcing of Kansas jobs. Ami Bera agrees, "we have to keep those jobs here because we have over 12 percent unemployment." In Hawaii, Democratic candidate Colleen Hanabusa criticized job offshoring in paid television ads, and was successful in her effort to unseat GOP incumbent Charles Djou, who ran the campaign's only television ad in favor of the Korea FTA. Both candidates are Asian American. Democrat and Congressional Hispanic Caucus member Loretta Sanchez fought back a challenge from Vietnamese-American GOP candidate Van Tran in this heavily Latino and Asian district. She campaigned against unfair trade with Vietnam, and against other anti-worker trade deals. In Louisiana, African-American candidate Cedric Richmond beat Vietnamese-American GOP incumbent Anh Cao. Richmond ran paid television ads against unfair trade deals, while Cao attacked unfair trade with Vietnam (even though he had supported the Bush-initiated Trans-Pacific Partnership while in office). Ryan Frazier, an African-American GOP candidate in Colorado, criticized the fact that the stimulus bill was not used to buy only U.S.-made goods. Allen West, an African-American GOP candidate in Florida, criticized the job offshoring impact of cap-and-trade. Their Democratic opponents approached these candidates in different ways: Ed Perlmutter in Colorado ran anti-offshoring ads of his own and won, while Ron Klein in Florida was mum on trade and lost. And Latino voters in California and Nevada strongly backed Democratic Senate incumbents Barbara Boxer and Harry Reid, who both campaigned against policies that send jobs to Mexico and other countries. Finally, 75 percent of the Congressional Black Caucus, nearly half of the Congressional Hispanic Caucus, and Asian-American members like Reps. Mazie Hirono (D-Hawaii) and Judy Chu (D-Calif.) have endorsed the TRADE Act, which simultaneously pushes for good jobs here at home, while prioritizing stronger environmental justice, workers rights and democratic protections for our trading partners. Not to mention a fellow named Barack Obama, who also campaigned and won on these themes - winning not only communities of color but making serious inroads into the white working class. In sum, elected officials don't seem to have much difficulty reconciling justice for communities of color at home and abroad with a strong working class message of standing up for job creation in the United States. They know as well as anyone what my colleagues John Schmitt and Nicole Woo (and other CEPR folks) have found: that the quality of manufacturing and other jobs here at home is a major reason that families from Asian-Pacific, African-American and Latino-American communities have ascended to the middle class. Greenberg Quinlan Rosner, the polling company, has released the results of a poll they took this past week for Democracy Corps and Campaign for America's Future. Voters that voted for Democrats cited job offshoring as the most important issue facing the country, and said that the GOP candidate's support for job offshoring was the most important reason to not vote Republican. Polling respondents were read four distinct narratives of campaign messages that generic candidates ran on in 2010, and were asked whether that campaign narrative would make them more likely or less likely to vote for the candidate. The first reminded voters' of the Republican Party's role in creating the conditions behind the recession, the second criticized GOP support for job offshoring, the third focused on GOP support for "free trade agreements" and how America should instead give benefits to companies that create jobs in the country, the fourth was a (control?) message about how Obama promised change but instead Democrats wrecked the economy. The third message did the best among voters, and the second message did the best among non-voters - both obviously dealing with fair trade themes. Regardless of how or whether they voted, poll respondents were asked to respond to whether they agreed about with a set of statements about the state of the country. The first related to concerns about the size of the national debt, the second to Wall Street rather than Main Street being bailed out, the third about lack of bipartisanship, the fourth on corporate influence in election finance, the fifth on inequality and CEO bonuses, and the sixth and final message focused on job offshoring and the need to "make things in America." Eighty-nine percent of voters agreed with the sixth message on fair trade - more than any other narrative. Among non-voters, eighty-five percent agreed with the sixth message - second only to the third narrative about bipartisanship. Moreover, the percentage gap between those that agreed vs. disagreed with the fair trade message was the widest of all the narratives, i.e. it "won" by the largest margin. Poll respondents were asked whether they favored a series of two hypothetical policies that the next Congress could take up: upgrading our national infrastructure, or launching a five year fair trade plan that attacks job offshoring. The second plan fared significantly more favorably among both voters and non-voters, and there was also a larger (positive) gap between those that favored versus disapproved of the latter proposal. On trade and exports, the Democratic leaders say we need to double our exports over the next five years, that requires ending subsidies to corporations that send jobs abroad, passing trade agreements to open markets, enforcing an even playing field for US companies, and working globally to limit trade imbalances. On trade and exports, the Republican leaders say we need to increase our exports, and that requires passing more trade agreements, getting government out of the way. American workers can compete and win with any workers across the world. When given these binary alternatives, more voting respondents favored the GOP proposal, while more non-voting respondents favored the Dem proposal. But note that both hypothetical positions describe "passing trade agreements", and sound a lot alike in other ways. The Dem position in particular sounds a lot like Obama in today's New York Times, where he talks about moving forward with a U.S.-Korea trade deal as part of a job- and stability-creating recipe. As we've written, this argument is wrong on the merits. Our past NAFTA-style agreements have been associated with slower U.S. export and job growth, and the U.S. government's own numbers show that the Korea deal will be a net negative for our goods exports, i.e. manufacturing jobs. For these reasons alone, it's hard to understand how this jumped onto Obama's to-do list, much less to the top. But the latest Greenberg poll shows that it's also wrong on the politics. The only way for Dems to squander the significant advantage that robust fair trade advocacy brings for them is to start sounding too much like Republicans, blur the line between the parties, and insist on "passing more trade agreements." On trade and exports, the Democratic leaders say, It's time to challenge countries like China that are taking our jobs, end subsidies to corporations that send jobs abroad, stop passing NAFTA-like trade deals until we have a national strategy for making things in America and exporting goods, not jobs. Unsurprisingly, Dems regain the upper hand when their position is described as blocking more NAFTA-like deals and aggresively creating jobs. A significantly higher percentage of voters and non-voters alike say that they "strongly support" the first statement, while support for the Republican position drops among both voters and non-voters. And, as the crosstabs on page 57-58 of this graph show, it helps Dems out especially with swing voters, independents, and their own base - all of whom are relatively more turned off by the blurry message. This confirms what we showed earlier this week in our 182-race analysis: the best defense is a good fair trade offense. In the wake of the release of our brand new report “Election 2010: The Best Defense Was A Fair Trade Offense,” a lot of folks have asked for more details about how the fair trade electoral advantage played out within certain subgroups of the House Democrats. Table 1 below shows the win-loss ratios of House Democratic candidates by fair trade position, and sorted by the competitiveness of their races as determined by the Cook Political Report on November 1, 2010. There are two things to note: first is the sheer breadth of candidates that campaigned on trade in every competitiveness category. Second, for every competitiveness category where Democrats won any seats, fair traders were more likely to win than campaigned against fair trade or that stated no position on fair trade. But looking at just the 50 Toss-Up seats in play, a fair trade-oriented candidate was more likely to win their race than a candidate that ran against fair trade or took no position. The same goes if we look at only the Leaning or Likely Democratic seats. An equally interesting exercise is to look at the shifts and trends within the Democratic Party’s caucus groups most likely to be in a competitive race this year: the Blue Dogs and the New Democrats. It’s a little known fact that, even though both groups have some members that are very vocally against fair trade, half of the 51 Blue Dogs and a third of the 70 New Democrats are signed onto the TRADE Act, a bill that envisions a fundamentally fairer way of expanding trade and exports. Still, the New Democrat Trade Task Force is the key group within the House Democratic Caucus pushing status quo trade policies. At least three lost their re-election bids: Reps. Suzanne Kosmas (Fla.), Harry Mitchell (Ariz.) and Bob Etheridge (N.C.); two retired: Artur Davis (Ala.), who lost his primary for the gubernatorial bid, and Vic Snyder (Ark. ); and two are in races that have not yet been called: Melissa Bean (Ill.) and Rick Larsen (Wash.). Ironically, Kosmas, Etheridge and Larsen – along with fellow task member Ron Kind (Wisc.) – ran paid ads attacking job offshoring. Adam Smith (Wash.) also of the task force, did not focus on his advocacy of unfair trade, but instead on his work on trade adjustment assistance. Some voters were not convinced by these battlefield conversions: Etheridge’s successful GOP opponent Renee Elmers attacked his vote for permanent normal trade relations with China, while Kosmas’ GOP opponent Sandy Adams criticized the flow of stimulus dollars overseas. Table 2 gives a breakdown for just the incumbent New Democrat and Blue Dog candidates. As can be seen, many more chose to run on fair trade than did not. Indeed, savvy fair traders within the New Democrat Caucus such as Rep. David Wu (D-Ore.) campaigned and won on opposition to offshoring. Wu went further and called for trade policy that would require that our trading partners observe democratic and human rights norms – positions that helped Wu bridge both blue collar and social liberal voters within his Portland area district and fight back his toughest electoral challenge in years. Indeed, those endangered Blue Dogs and New Democrats that campaigned on fair trade were more likely to survive than those that did not. To read more about the fair trade campaign positions that New Democrats, Blue Dogs and others took in this year’s races, be sure to check out our new report here. We’ll be updating it on a rolling basis as the remaining dozen races are called. The folks at Think Progress have been following the breadcrumbs and connecting the dots on unfair trade policies and corporate influence in elections. This pro-offshoring attitude goes hand-in-hand with the Chamber’s push to approve the unfair Bush-negotiated Colombia, Korea, and Panama Free Trade Agreements (FTAs). Tom Donahue recently claimed that passage of these trade pacts will create millions of jobs, but in reality the FTAs will just make it easier for corporations to offshore jobs abroad. That’s the last thing we need in the middle of this jobs crisis. Think Progress also reports on how foreign corporations that provide offshoring services have been funneling thousands of dollars to the Chamber of Commerce’s political ad account. The Chamber of Commerce has been using this political ad account to attack champions of fair trade policies this election cycle. Pollsters Stan Greenberg and James Carville have sent out a memo advising Democratic candidates to run on fair trade as one of the party's best chances to avoid losses in the November elections. My passion is "made in America," working to support small businesses, American companies and new American industries. (REPUBLICAN HOUSE CANDIDATE) has pledged to support the free trade agreements with Colombia, Panama, and South Korea and protect the loophole for companies outsourcing American jobs. I have a different approach to give tax breaks for small businesses that hire workers and give tax subsidies for companies that create jobs right here in America. We have to change Washington. That means eliminating the special deals and tax breaks won by corporate lobbyists for the oil companies and Wall Street. (REPUBLICAN HOUSE CANDIDATE) has pledged to protect the tax cuts for the top two percent and the big tax breaks for companies who export American jobs. I'll take a differ-ent approach with new middle class tax cuts to help small businesses and new American industries create jobs. Let's make our country work for the middle class. My priority is to cut middle class taxes, extend unemployment and health insurance for the unemployed, support new industries that create jobs and end tax breaks for exporting jobs. The economy shows signs of improving. But (REPUBLICAN HOUSE CANDIDATE) wants to go back to the Bush policies that crushed the middle class. They want to give tax breaks to the wealthy and big corporations. We must rebuild the middle class, not go back to the same old policies for Wall Street that cost us 8 million jobs. Returning to the top two messages, the intensity of the appeal of the first message (which is the most specific about branding Bush's FTAs with Korea, Panama and Colombia by name and in a negative light) is particularly noteworthy. Among those independents and white seniors surveyed, the first message was more likely than the second to make the voter more likely to vote for the Democrat. Among these demographic groups, plus the "white older women" surveyed, the first message was more likely than the second to make them "much more likely" to vote for the Democrat. Greenberg and Carville identified these groups as the ones Democrats need to reach if they are to survive. And... all three of the messages were energizing of the Democrats' core base. Finally, when these messages were turned on their head, i.e. when the hypothetical Democrat was accusing the hypothetical GOP candidate of supporting unfair trade, the tactic was successful in raising doubts about the GOP candidate. From my initial research, many GOP candidates are also running on fair trade - in a number of races, candidates from both parties are trying to "out fair trade" one another. It looks like we're poised for a third election where fair trade themes play a key role in who wins and who loses. Slick Willy's at it again! ...But, this is yet another example of how trade is becoming a wedge issue this campaign season. Candidates in the special election to replace recently deceased fair trader John Murtha (PA-12) have focused on jobs and the economy. The race to succeed Murtha is between the former Congressman's district director, Mark Critz, and Tea Party supporter Tim Burns. Both sides contend they're the best choice to create jobs, but so far only one has come out in favor of reforming failed trade policies. In 2008, the Public Citizen election report documented several races where candidates duked it out over who was hated NAFTA more. PA-12 could well be the first of this election year. Is There an Outbreak of Amnesia at USTR? During the presidential campaign, Obama made it clear that he intended to renegotiate NAFTA to include enforceable environmental and labor rights provisions in the main text of the agreement. The USTR’s 2010 Trade Policy Agenda, released yesterday, entirely lacked any plans to fulfill this crucial campaign promise. When President Obama was campaigning for office, the only “r” verb he used on NAFTA was “renegotiate,” coupled with a friendly “opt out.” In contrast, USTR's report uses the verbs “review” and “recalibrate,” but then only to refer to actions they promised to take but still haven't taken. On NAFTA’s severe environmental and labor shortcomings, the report only stated that NAFTA’s central oversight body, comprised of officials from each country’s trade negotiating body, would “strengthen its relationship” with the North American Commission for Environmental Cooperation and the North American Commission for Labor Cooperation, which are bodies established under NAFTA whose role is mostly limited to releasing reports about the labor and environmental effects of NAFTA. They have no enforcement capabilities, which Obama heavily criticized. A poll conducted by the Pew Research Center in November has found that the public holds deep misgivings about the WTO and trade agreements like NAFTA. In an atmosphere of 10 percent unemployment, about 52 percent of those surveyed believe that "free trade" agreements lead to job losses, while only 13 percent believe that the agreements create jobs. The remainder of those surveyed didn't have an opinion, refused to answer, or thought trade agreements didn't affect employment. Only 11 percent of respondents believed that free trade agreements make the wages of Americans higher, but 49 percent believed that trade agreements reduce American wages. The survey also reveals quite a disconnect between the views of the foreign policy elite and the views of the public at large: 88 percent of the members of the Council on Foreign Relations believe that these trade agreements are a good thing for the United States, which is more than double the proportion of ordinary Americans who believe the same. Another interesting finding in this poll is the degree of opposition to "free trade" agreements among Republicans and independents. About 36 percent of both Republicans and independents believe that trade agreements are a bad thing, which is a greater degree of opposition that even Democratic voters exhibit. Democratic candidates for Congress must keep in mind that in order to prevail in the midterm elections they must retain the independent and Republican voters that they gained in 2008, so running on a fair trade platform can only help expand their appeal. The Return of the NAFTA Election Cycle? In 1994, the year Republicans swept to power in the House and Senate, union members were demoralized and stayed home because the Clinton administration had fought vigorously to pass NAFTA and backed down on health care reform. Fortunately for everyone involved, the choice between fair trade and NAFTA-style agreements is not a choice among appealing to liberal, conservative, or moderate voters. Polls have demonstrated that voters of all stripes are fed up with the NAFTA model, particularly in swing states. Fair trade candidates elected in 2008 now have the seats in Congress to prove it, which makes clear that support of the NAFTA model is a losing strategy, while supporting the TRADE Act might be a way to win. The Obama administration deserves applause for suspending the African Growth and Opportunity Act (AGOA) trade preferences of Niger, Guinea, and Madagascar last week. Under the AGOA legislation, the President has the power to deny AGOA preferences to a country that has not “established, or is making continual progress toward establishing….the rule of law, political pluralism, and the right to due process, a fair trial, and equal protection under the law.” The Obama administration suspended the trade preferences of Niger, Guinea, and Madagascar because they have all experienced undemocratic transfers of power recently. It’s too bad the standard trade agreement model doesn’t contain these types of democracy-preserving provisions, as Hondurans found out when their democratically elected President was ousted in a coup this June. REPORTER: Yeah. I just wanted you to elaborate why [suspending trade preferences] is not a possibility. SENIOR STATE DEPARTMENT OFFICIAL ONE: We have an agreement called the CAFTA agreement [i.e. the Central American Free Trade Agreement], and apparently provisions in that make it impossible – very difficult, if not impossible, for us to do that, so we can’t – it looks like we cannot go down that route. Our trade policy should be promoting democratic governance instead of handcuffing our ability to discourage coups and dictatorships. Signing CAFTA-style trade agreements is a surefire way to diminish our capacity to conduct effective foreign policy. The TRADE Act has just picked up another prominent endorser. Adding to the 132 House and 7 Senate Cosponsors, we now have leading Democratic Senate hopeful Alexi Giannoulias promising to cosponsor the Senate TRADE Act, recently re-introduced by Sen. Brown (D-OH), if elected. As the Giannoulias campaign touted and the blog Chicagoist report, Giannoulias is running on a fair trade platform to fill the Senate seat vacated by President Obama - not unlike Obama himself. As part of the announcement, Giannoulias pledged that he would co-sponsor the TRADE Act bill in the Senate. That bill would require the Government Accountability Office to review all existing trade agreements for their impact on jobs and the environment, and then requires the president to submit renegotiation plans to Congress to remedy the gaps the GAO identifies. The review required in the TRADE Act includes NAFTA and the WTO. Its already looking like an interesting fair trade campaign cycle for 2010. EOT will keep you posted. No, not that Miami Heat! I'm referring to the Miami Florida heat rising up about Rep. Kendrick Meek (D-Fla.) who pulled his cosponsorship of two bills important to Public Citizen - the Single-Payer Health Care for All bill (HR 646), and the TRADE Act (HR 3012). Meek waited until he'd wrapped up key labor endorsements, and until his main primary opponent dropped out, then signed off both bills. On Oct. 21, he withdrew his support from the bill, sparking a conflagration his office is still trying to put out. Meek had a conference call the following day with around 40 Florida labor officials to thank them for their support; instead, the labor officials erupted with anger over his move, according to people on the call. He spent the afternoon calling them individually, and Meek's office attempted some more damage control Wednesday, sending an e-mail to critics explaining his actions. The explanation does not appear to have had its desired effect. "I believe if he doesn't go back as a co-sponsor on that trade bill, he might have some problems, based on the scuttlebutt I've heard," said Pat Emmert, president of the Palm Beach-Treasure Coast chapter of the Florida AFL-CIO. Emmert said the International Machinists and Aerospace Workers union in particular was angry with Meek's move. In fact, while Meek has racked up endorsements and campaign contributions from unions, the Machinists are not one of them, according to FEC records and a list of endorsements on his campaign Web site. The Machinists' PAC donated $5,000 to his 2008 House campaign. Frank Ortis, president of the Florida Machinists, said "all of our jobs are going south" because of trade pacts, and that a once million-strong union is down to 372,000 members. It remains to be seen whether Meek's siding with corporate interests over his base will be an obvious trend in his campaign. If so you, you can bet it'll be a disappointing November for Florida Democrats. Just in time for Halloween, we’ve found a truly scary article about unprecedented NAFTA expansion: Erik Heinrich of CNN predicts that the upcoming conclusion of a “free trade” agreement between the European Union and Canada will likely begin a push for a NAFTA-EU trade zone, which would encompass nearly a billion people and would account for more than half of the world’s total GDP. The president of Canadian Manufacturers & Exporters, the country’s largest trade and industry association, has said “the largest benefits will come from economic integration,” referring to increased foreign direct investment and access to government procurement, the very provisions of NAFTA fair traders have flagged as some of the most damaging aspects of the agreement and others based on the NAFTA model. According to Steven Schrage of the Center for Strategic and International Studies (CSIS), (who opines that “it makes sense to integrate NAFTA with the EU,”) the Bush administration had a NAFTA-EU deal on its radar, but failed to make progress: “The ball is in the Obama administration’s court.” CNN does concede that a NAFTA-EU trade deal would likely be met with stiff opposition in the United States. What an interesting way to sell this deal to the Obama administration: “The Bush administration thought this was a great idea!” I am comforted that Obama has expressed that he is fully aware of what he calls “NAFTA’s shortcomings” and has made a variety of trade promises that suggest he has no interest in continuing the Bush administration’s failed trade initiatives. As for Congress, the desire for a new trade agenda is illustrated by support for the Trade Reform, Accountability, Development and Employment (TRADE) Act, which currently enjoys support from 123 Democrats and two Republicans in the House of Representatives, including 10 committee chairs, 52 subcommittee chairs, and wide swaths of the Democratic Blue Dog Coalition, Congressional Black Caucus, Congressional Hispanic Caucus, and the New Democrat Coalition. It still freaks me out, though. It's really hitting the fan for Congressman Kendrick Meek, the likely Democratic contender for the 2010 Florida Senate seat. Meek recently withdrew his cosponsorship from two key pieces of legislation for progressives: the Single Payer Health Care bill (HR 676), and the TRADE Act (HR 3012). Labor unions are furious with Rep. Kendrick Meek, D-Fla., for his decision this week to withdraw his name from a bill rapidly gaining support among House Democrats to renegotiate or scrap several major trade agreements. One labor source called it "spineless," and people familiar with the matter said some unions were threatening to withdraw support for Meek's 2010 Senate bid. "It's very disappointing, especially considering he's got a pretty good labor record," said Lisa Kinard, director of federal legislation and regulation for the Teamsters Union. The Florida AFL-CIO endorsed Meek for the Senate at an Oct. 7 meeting, which Meek touted in a press release on Wednesday, the same day he changed his sponsorship. Thea Lee, a lobbyist for the AFL-CIO, said her organization supports Michaud’s legislation and that Meek’s decision to drop his sponsorship would be a subject of discussions. The fracas was a step backward for Meek after good news arrived late last week, when Rep. Corinne Brown, D-Fla., announced she would not challenge Meek for the nomination. Congressman Meek's statement on the floor offered not so much as an attempt at an excuse as to why he would changes his mind, but his spokespeople sound an awful lot like the Chamber of Commerce misleading talking points against the TRADE Act. Working people in Florida will have to watch Meek closely to see whether his actions side with them and for reform of our unsustainable job-wrecking economic model, or with the Chamber of Commerce business as usual. Sestak for his part voted to deny fast-track treatment to the FTA with Colombia and has said that he plans to vote against the Korea and Colombia FTAs. Yet, both candidates voted for the Peru FTA in 2007 and at this point, neither has cosponsored the TRADE Act – a key demand of fair traders. The fact that the two candidates are analyzing each other’s trade policies and referring to specific trade agreements shows that political candidates are becoming more educated about trade policy and are using the issue as a platform for (re)election. In other words, trade continues to be a major election issue. The Minnesota Supreme Court just certified Al Franken as the winner of the long-disputed Senate race in that state. Franken campaigned on a strong fair-trade platform, as this video shows. In response to a Minnesota Fair Trade Coalition questionnaire, Franken committed to oppose the WTO Doha Round and Colombia, Panama and Korea FTAs, support the renegotiation of NAFTA and replacement of Fast Track, and oppose any trade agreement that includes NAFTA-style investor rights, among other commitments. For our complete analysis of the role of fair trade in the 2006 and 2008 elections, when 72 fair-traders displaced anti-fair traders, go to the politics section of our website. The Conference Board of Canada just released a report that looks at the impact of the fair-trade sweep in the last two U.S. elections. It takes the anti-democratic analytical perspective that things said during campaigns don't matter. So we have the inevitable comparison that only Nixon could "open" China, and only Obama could "save free trade," apparently because he campaigned against NAFTA-style policy. While it's a well-worn trope that Democratic Party candidates lie to their base in the primaries to win their support, the important difference this time was the specificity of Obama's critique of NAFTA, some of which you can read about here. To be certain, we have no idea what his eventual policies will be, but we do know that this is not your father's Democratic primary in terms of the specificity of the commitments. It is a new day in regards to the trade-policy orientation of the president. Rep. Mike Michaud (D-Maine), co- chairman of the House Trade Working Group, singled out House Majority Leader Steny Hoyer (D-Md.) in his criticism of his party leaders’ desire to advance the Panama deal. The working group includes several prominent Members, including six committee chairmen and 17 subcommittee chairmen. During a meeting last month with representatives from the Office of the U.S. Trade Representative, Slaughter spoke on behalf of about 20 Members in voicing concerns with the Panama deal. The USTR attendees seemed “receptive,” she said, but have not contacted her since the meeting. Rep. Marcy Kaptur (D-Ohio), one of the Members who attended the USTR meeting, said Slaughter repeatedly reminded USTR officials that she chairs the powerful Rules Committee. The author of the report's obliviousness to a changed landscape within the Democratic Party shows through in the citation of the U.S.-Peru Free Trade Agreement, which the Conference Board notes passed, but doesn't mention that a majority of the majority Democrats opposed. Finally, far too many Canadian sources are spreading misinformation about the Buy America/n provisions in the stimulus bill. As we've explained many times, the stimulus bill is ONLY an improvement for Canada. For the Buy America provisions related to federal grants to states for transit projects, U.S. products have always been given a 25 percent price preference over products from Canada (and other trade-pact partner countries). For the Buy American provisions related to federal procurement, U.S. products (specifically iron, steel, and manufactured products for stimulus-funded projects) received a 6 percent preference, and now they receive a 25 percent preference. But... wait for it... so. does. Canada., and all of our other trade-pact partners. Pre-stimulus rules were more generous to Canada than Canada is to us under its WTO-NAFTA commitments, and the post-stimulus rules are more generous than the pre-stimulus rules. As President Obama heads to Canada tomorrow for his first international trip as president, we wanted to take you back to last year’s Democratic presidential primary. You may remember, that at about this time last year, then-candidate Obama campaigned strongly on a pledge to renegotiate NAFTA. On the campaign trail, Obama got it. From Oregon to South Carolina, Ohio to Texas, Obama saw the devastating impact NAFTA is having on communities across the country, and promised to renegotiate the agreement. "While NAFTA gave broad rights to investors, it paid only lip service to the rights of labor and the importance of environmental protection... We should amend NAFTA to make clear that fair laws and regulations written to protect citizens in any of the three countries cannot be overridden simply at the request of foreign investors." As he heads north, let's hope Obama remembers who won the "anti-NAFTA off" that we all enjoyed last winter. One Third of CAFTA 30 Are Gone! After the razor-thin margin for CAFTA passage back in 2005, we highlighted what we called the CAFTA 30, which was basically the CAFTA 15 Democrats that voted for the deal plus a few handfuls of Republicans who had committed (or who politically should have) to vote against. Well, as of today, nearly a third of the CAFTA 30 are gone - ousted from office or otherwise replaced. Now, in the 2008 races, there are four more casualties: Rep. Chris Cannon (R-Utah), Phil English (R-Pa.), Robin Hayes (R-N.C.) and Marilyn Musgrave (R-Colo.) -- all who were ousted by fair traders Jason Chaffetz (R-Utah), Kathy Dahlkemper (D-Pa.), Larry Kissell (D-N.C.) and Betsy Markey (D-Colo.). Additionally, Rep. William Jefferson (D-La. ), one of the CAFTA 15, lost his 2008 election, and Rep. Jo Ann Davis (R-Va.) passed. And Sens. Norm Coleman (R-Minn.) and Elizabeth Dole (R-N.C.), whose bad CAFTA votes we also highlighted, lost their elections to fair traders Al Franken (D-Minn.) and Kay Hagan (D-N.C.). This contradicts the claims of some corporate groups that voting for CAFTA was a not a political liability. Al Franken gives us a final tally of 43 new fair traders! Fair trader Al Franken (D) has just been certified as the winner of the long, drawn-out recount for the Minnesota Senate seat held by incumbent Norm Coleman (R). His victory brings us to seven new fair-trade senators and 43 new fair-trade members of Congress in total, assuming Coleman's likely legal challenges are unsuccessful, as is widely believed to be case. I favor a balanced approach to trade that recognizes the importance of opening up markets for our products but protects our farmers as well as our workers, our consumers, and our values. Frankly, the Bush-Coleman approach gives away too much for too little - CAFTA, for example, sold out Minnesota's entire sugar industry for access to six markets with the combined size of Columbus, Ohio. I will support fair trade agreements, but I won't sell out our farmers in a bad deal like CAFTA. Check out our full election report (PDF) for much more. Today's Obama statement on the appointment of Ron Kirk as his USTR reminds us of all the trade commitments Obama made on the campaign trail. As readers of this blog may remember, not only did trade play a decisive role in the primaries across the country (along with its major role in elections in November), but candidate Obama made very specific and detailed commitments to change our trade policies. Check out the compilation of Obama's campaign statements on trade to various state-based fair-trade organizations that we've put together. In these statements, Obama highlights the need for not just better labor and environmental standards, but also provisions to ensure imported food and product safety, the curbing of excessive foreign investor rights, efforts to ensure that public interest policymaking authority is not implicated by agreements like the WTO, and a more inclusive and democratic replacement for Fast Track. Will you commit to renegotiating NAFTA and all existing trade agreements to address problems including labor and environmental standards, investor rights, procurement rules, food and product safety, and agricultural provisions BEFORE initiating any new trade agreement negotiations? Obama's answer was yes and his comments begin with, "I voted against CAFTA and never supported NAFTA. NAFTA’s shortcomings were evident when signed and we must now amend the agreement to fix them. While NAFTA gave broad rights to investors, it paid only lip service to the rights of labor and the importance of environmental protection." Check out all this good stuff saved on the GTW website. Whether Ron Kirk is a good choice for trade representative will be determined by his ability to deliver on President-elect Obama's pledges to the American public to create a new trade and globalization policy that benefits more Americans. As a past supporter of the North American Free Trade Agreement (NAFTA) and China Permanent Normal Trade Relations (PNTR), Kirk will face close scrutiny as he assumes the responsibility for delivering on Obama's pledges to fix existing trade agreements and create a new trade policy that benefits more people. Kirk's vocal opposition to Fast Track during his 2002 U.S. Senate race puts him in line with the majority view in Congress and positions him well to deliver on Obama's campaign pledge to replace Fast Track with a process that provides a greater role for Congress to ensure that American trade agreements promote the public interest. Whatever Kirk's past views on various trade policies, his future course of action must reflect the powerful expectations for change created by Obama's trade reform pledges. His actions must also reflect the new political realities created by congressional elections that resulted in 71 House and Senate supporters of the trade status quo being replaced by those who were elected campaigning for a new approach. Scores of Democrats and Republicans used attacks on NAFTA and China PNTR to win elections nationwide this year and these candidates and the Democratic House and Senate campaign committees featured more than 140 television ads criticizing the trade status quo. 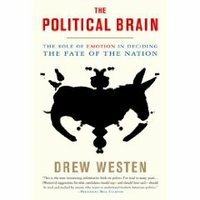 One some level, these insights are not brain surgery (pun intended). Any good labor or community organizer, for instance, knows that she must move the people she hopes to organize through a cycle of “anger-hope-action.” In other words, people must be shaken out of apathy by anger at their problems, convinced that something can be done about their problems before the anger turns to depression, and then moved swiftly into taking action that will build power and help them solve their problems. As we document in a new report "Closing Santa's Sweatshop", the USTR - along with agencies like the Consumer Product Safety Commission, responsible for safety of imported toys - has a lot to tackle in the coming years. This includes renegotiating existing trade deals like NAFTA and the WTO to create policy space for product safety and climate reform. We just put out a new report, "Closing Santa's Sweatshop: How to Deliver on Obama's and Congress' Toy Safety and Fair Trade Promises". We find that, while production of our children's toys has become globalized, our consumer safety system and its protections against injury and death have not. And unfortunately, our trade agreements take us in the wrong direction. The United States is expected to import $23 billion in toys in 2008, 90 percent of that from China. Imports this year represent 90 percent of U.S. toys, which is the highest toy import level and share on record. Many nations producing our children's toys have extremely lax safety standards and enforcement. Yet, while toy imports exploded by 562 percent from 1980 to 2008, the budget of the agency responsible for toy safety, the Consumer Product Safety Commission (CPSC), was cut by 23 percent, with staffing cut nearly 60 percent during the same period. Unfortunately, the threat of toy safety improvements being attacked as "illegal trade barriers" under current U.S. trade agreements is no longer only hypothetical. The report describes actions taken by China in 2008 invoking two U.S. safety initiatives relating to state-level bans on lead and bisphenol A (BPA) in toys that China claims violate World Trade Organization (WTO) rules. U.S. laws challenged at the WTO have been ruled against more than 80 percent of the time. The report lays out a variety of recommendations on how to reform our trade agreements and domestic policy to guarantee toy import safety. "Closing Santa's Sweatshop" also documents campaign pledges on import safety made by President-elect Obama and Rep.-elect Jared Polis (D-Colo.) and other new members of Congress – 71 of whom replaced congressional supporters of the failed trade-policy status quo generating the import safety crisis in the 2006 and 2008 elections. You can find the press release and all the hot materials here. In the south, fair-trade Democrats claimed seats that were thought to be beyond their party’s reach. In North Carolina, Democrat Kay Hagan beat Republican incumbent Sen. Elizabeth Dole, after running a national record eight paid trade ads. In Georgia, Kentucky and Mississippi – heavily GOP states that supported McCain – fair-trade Democrats Jim Martin, Bruce Lunsford and Ronnie Musgrove gave anti-fair trade GOP incumbents Saxby Chambliss, Mitch McConnell and Roger Wicker a run for their money, after running multiple television ads attacking the incumbents’ support of unfair trade deals. These included an early September 2008 ad paid for by the Democratic Senatorial Campaign Committee, where a narrator said: “Wicker and his special interest buddies back tax breaks for American companies that ship jobs overseas, and Wicker supports bad trade deals like NAFTA, Central America, and China – deals that send tens of thousands of jobs overseas. Ronnie Musgrove opposes these job killers, and he’ll fight to keep Mississippi jobs in Mississippi.” An October ad for Martin focused on Chambliss’ support for CAFTA and Fast Track. In Georgia, Chambliss’ margin was only 3 percent in the first round of voting (and the race is headed for a runoff), and in Kentucky, only 6 percent. In all three states including Mississippi, the fair-trade Democrat beat Obama’s margin – in Kentucky, by 11 points. And as we detailed in our Fair Trade Gets an Upgrade report (PDF), fair traders won tough pick-ups in House seats in both the so-called “Deep South” (Alabama) and “Outer South” (Florida, North Carolina, and Virginia). And fair traders also defended seats in tough races in both “Deep” and “Outer” South (Georgia, Mississippi; and Kentucky, Texas). Such claims about southern politics are highly debatable. With the long-delayed victory of Democrat Mary Jo Kilroy in Ohio's 15th district, we are now officially at 42 new fair traders in Congress, for a net gain of 34. We've once again updated our comprehensive election report (PDF) along with our annex of candidate trade profiles (PDF). Kilroy will be replacing Republican Deborah Pryce, who had a 100 percent anti-fair-trade voting record. Kilroy ran against Pryce in 2006, running paid ads on trade; Pryce chose not to run again this year, and Kilroy defeated Republican Steve Stivers. This time around, Kilroy again campaigned on her fair-trade platform, including responses to a Citizens Trade Campaign questionnaire indicating that she would push for the renegotiation of NAFTA and replacement of Fast Track, oppose the Colombia, Panama and South Korea FTAs, and work against NAFTA-style anti-food safety and pro-foreign investor protections. The only outstanding race is in Minnesota, where fair trader Al Franken is locked in a recounting battle with anti-fair trade Norm Coleman for the latter's Senate seat. Once that race is called, we'll make our final update. Also, Tasini notes that Rep. William Jefferson - one of the CAFTA 15 - has been fired by Louisiana voters.